Some good news for Liverpool today after team captain Jordan Henderson travelled south with the club for the match against Chelsea as he continues to recover from a foot injury that has had him side-lined since September, unable yet to play for new manager Jürgen Klopp. 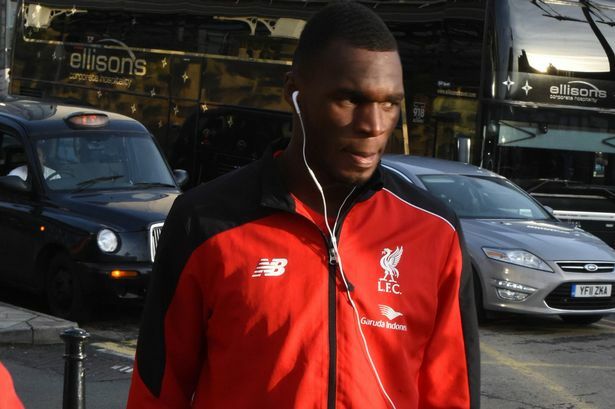 More good news for Reds fans is that Striker Christian Benteke is back fit and ready to take on Chelsea at the Bridge Saturday lunchtime, while disappointingly Daniel Sturridge still remains unavailable. “Things are better. Christian trained, not quite normally, he worked with our fitness coach and it was good so he is prepared for tomorrow. That is the only thing that is changed. No Daniel, no, “said Klopp. Despite Chelsea’s poor run of form Klopp is taking nothing for granted saying: “I’m not sure it is so easy to play against Chelsea. They were full of self-confidence last year so maybe that makes a difference, but to be wounded, sometimes that makes you stronger too,” he insisted. “I am not close enough to Chelsea to know the reasons, and I am not a journalist so I don’t need to think all day why things are how they are. “But I am interested in the football Chelsea played last week and it was not that worse than the results suggest. “We have analysed it, and we have to respect the quality of Chelsea to be sure. Simon Mignolet returns to nets after being rested for the midweek win over Bournemouth in the 1-0 Capital One Cup, and despite a fine performance from Hungary No.1 Ádám Bogdán he is not ready just yet to take over from the Belgium shot-stopper. He is the easy pick with Wednesday night’s goal scorer Nathaniel Clyne at right back with Alberto Moreno out on the right flank leaving Mamadou Sakho and Martin Skrtel to deal with Chelsea bad boy Diego Costa. The Slovakian defender and Costa have some unfinished business from the last time the two teams met, so if there is to be any controversy in the game this is where it could be at. A tough call here, but we are going to stick our neck out and say that Coutinho will start from the bench following Roberto Firmino’s midweek performance, and it is not down to anything he did wrong, but the fact Adam Lallana works harder and deserves the start over the Brazilian. Emre Can, James Milner and Lucas Leiva will make up the remainder of the midfield with both Can and Milner being told to push forward when given the chance. Divock Origi will make way for his Belgium international teammate Christian Benteke who will be looking to keep John Terry and Gary Cahill busy with his runs and aerial power in the box.